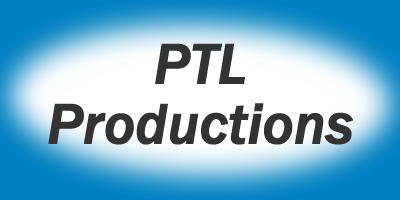 Welcome to the PTL Productions website!! Get acquainted with us and see what we're up to these days. Ever seen a PG-13 rated movie, during which you have to re-check the Rating because it is so filled with offensive scenes that you almost blush? In fact, maybe you do blush! Personally, I like a good crime drama or action movie where there is some mystery along with shootouts and chase scenes, and of course where the bad guys are brought to justice. But, I don't care for the other stuff that really doesn't add anything of value to the show. And, my wife certainly doesn't like it!! Can't a man be rugged and macho without having to sound like a drill instructor in the Marines? Can't real love be kindled and displayed without the "lovers" jumping into bed a half hour after they've met, with nothing else in common except raging hormones and physical attraction? Can't we use our imaginations a little after viewing a shootout without having to see all of the resulting blood and guts? Can't we see a Christian who is truly Christ-like instead of being depicted as some weird religious fanatic who becomes the target of scorn and/or mockery? Of course we can!! That's what we at PTL Productions are all about. NOTE: we are not accepting plots, scripts, etc from third parties at this time. Please do not send them.